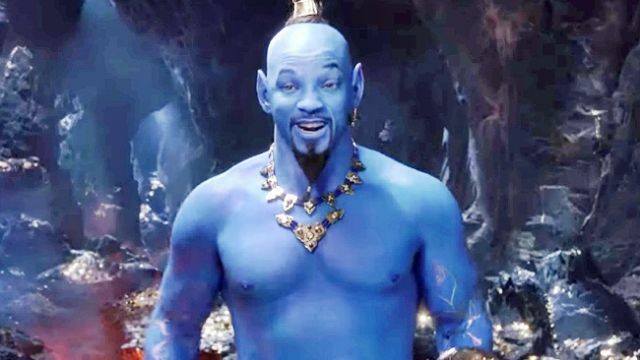 Welcome to #TrailerChest, where we're taking a sneak peek at the brand new trailer for the live-action remake of Aladdin. Well, he's very blue. Like exceptionally blue. That's the main thing to get out of the way. 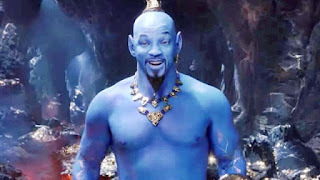 We've got Marwan Kenzari as Jafar, Naomi Scott as Jasmine, and Mena Massoud as our titular hero, but one of the major casting decisions in Disney's revamped version of 1992's beloved Aladdin, comes in the form of Will Smith, who will be filling the almost impossibly large shoes of the late, great Robin Williams as Genie... who is, you know, the big, blue Genie. What we can all agree on though is that 'A Whole New World' is one of the all-time great Disney bangers. If it isn't in the film, you'll have a riot on your hands. Are you listening, Director Guy Ritchie?